Beautiful heritage holiday house. Romantic, relaxing and spacious. In Carterton in the heart of the Wairarapa. Furnished in French provincial style. Price per night is based on $260.00 for first two adults, plus $80.00 per night per additional adult. Children 2-11 year $45.00 per night. Babies free, please bring own bedding. Relax and rest in comfort in this beautiful and spacious home with rural aspect. Great for entertaining and celebrations with friends and extended family. Walking distance to restaurants, cafes, bars and shops. Great for groups of friends, girls' weekends away, or families wanting to spend time together. 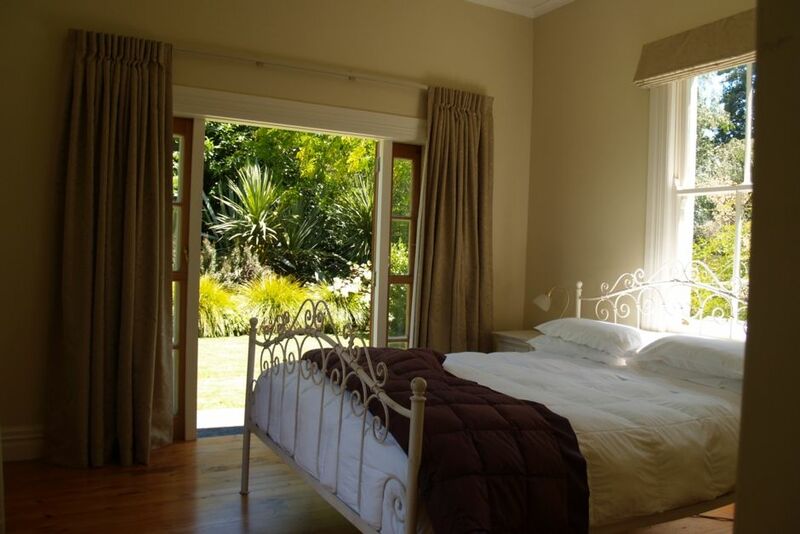 Popular accommodation for wedding guests and for birthday or anniversary celebrations. Close to Greytown, Masterton and Gladstone and all Wairarapa attractions. Walking distance to bars and restaurants in Carterton township. Close to gardens and children's playgrounds. Gateway to the Tararuas. We are Christine and Brad. We bought this house 12 years ago because we wanted a house in the Wairarapa. We fell in love with the summer climate, big skies and wide open spaces, and how quickly everything grows here. We have let others enjoy it during the time we have owned the property. Brad is a geologist. Christine works in Communications. We named the house Hokimai after the home Christine's great grandparents. It means 'come to me, return to me'. The house is very relaxing and romantic and charming. It has outdoor living. It is great to stay here with friends and family. Visit the local vineyards, taste the wines and gourmet sensations, take relaxing walks in the countryside, enjoy the local restaurants and bars, go shopping, visit the many wonderful gardens, the antique shops, go ballooning, or play golf. Stylish, well-equipped, with a large kitchen, Hokimai is the perfect place to do nothing - to rest, recharge and revitalise yourself, with friends and family. Be warm and cosy by the fire in winter. Lie in the hammock in summer. Many people visit Hokimai in groups to spend time together and relax and have a break away from Wellington. toilet, combination tub/shower, Large bathroom, shower over bath, heater, heated towel rail. toilet, Toilet with hand basin and mirror. Parking for up to 4 or 5 cars on the section in tandem. WiFi is available. Reasonable use please. The key is on the router and slip of paper by the stereo. Bath towels, hand towels, bath mat, flanels. Mitsubishi fridge. Vege humidity drawer. Freezer drawer. Ice cube trays. Large electric oven big enough for a turkey and large roasts. Panasonic microwave for cooking and heating baby food. Microwave cookware. Crockery for 12 settings, fully equipped kitchen, plenty of wine glasses and flutes. Platters. Lots of pots and fry pans, plus big roasting dish. Well equipped for large groups. Platters, wine glasses, flutes, frying pans, pots, large roasting dish, microwave dishes. Lots of cutlery. Plenty of tea towels. Dining table comfortably eight to 10. Smart TV. Bring your Netflix logon if you wish..
Take your phone for music or memory stick. Petanque balls in kitchen cupboard under breakfast bar. Soft toys upstairs in the loft cubby for children. They love it up there. A range of DVDs and some for children. This house is great for summer outdoor living. Lots of great golf courses nearby. Check out the Carterton Golf Club. This is a lovely house with lots of space and all the mod cons we needed to have a great weekend away. Beautiful property, so quiet and private. Quite Stunning. Thanks Pam for your kind words. We're so glad you enjoyed your stay at Hokimai. Excellent. Our second stay for a girls weekend lovely property. Just needs a second shower for 8 girls!! We loved our stay and it was a perfect place for 5 adults.